The Re-Define Range has an innovative construction method with moulded Recopol™ internal segments and arms linked with an encapsulated steel bearer system. 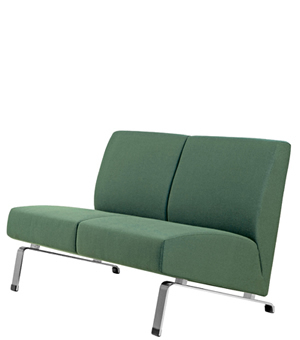 The Re-Define features stainless steel leg frames and commercial grade upholstery and GECA certified foams. With the AFRDI Blue Tick accreditation, the Re-Define range has set new benchmarks in designing and manufacturing large sustainable commercial furniture for greener buildings.